Jon has been with Golden Eagle Log and Timber Homes for over twelve years. In those twelve years Jon has developed tremendous practical knowledge about the manufacturing and building process of our homes. He has been directly involved in over 700 Golden Eagle Homes being built either directly with the customers or working with the builders. Jon also served as the customer service manager and helped to build and support Golden Eagles reputation of quality service and expert support knowledge. 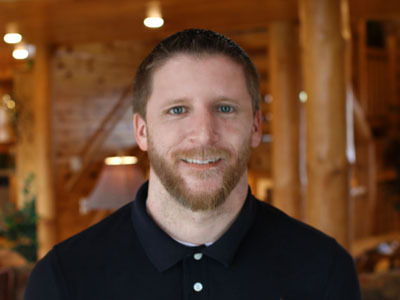 Jon now brings all this experience directly to our customers as a sales advisor and looks forward to using that knowledge when helping you design and build your new Golden Eagle Log Home. Jon enjoys spending time with his wife and their three children. He also loves coaching his kid’s sports teams. As a family, they enjoy hiking, camping, and sledding in those cold Wisconsin winters! Jon enjoys working with customers and is looking forward to helping you get stared with building your dream home.